Here is a piece about "drive through window" medicine. 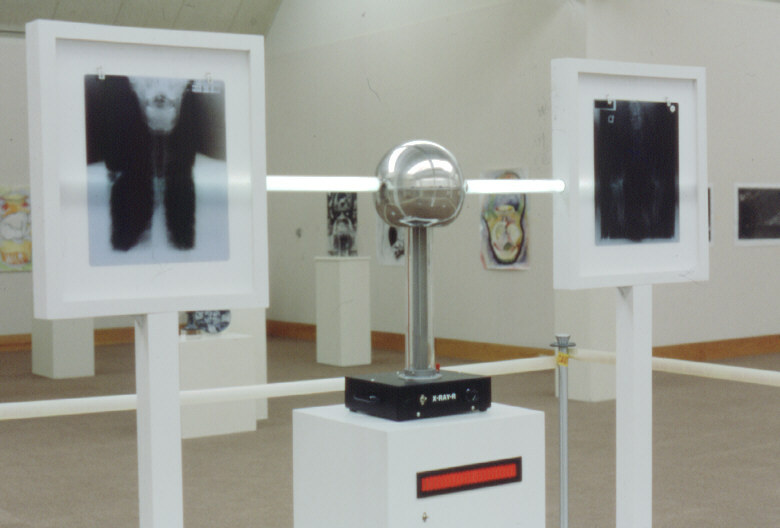 In the center is a Van De Graaff generator, a simple static electricity generator which lights the fluorescent tubes without actually touching them. The tubes light x-ray films of my spine which were drawn on by the doctor with a blue grease pencil. They are really quite beautiful. The white label on the base of the Van De Graaff generator reads "X-Ray-R" and the electronic sign board housed in the pedestal scrolls the message "Over Sixty Billion Served.......60,000,000,001......60,000,000,002......60,000,000,003......bring a friend and get your x-rays for free......" etc. 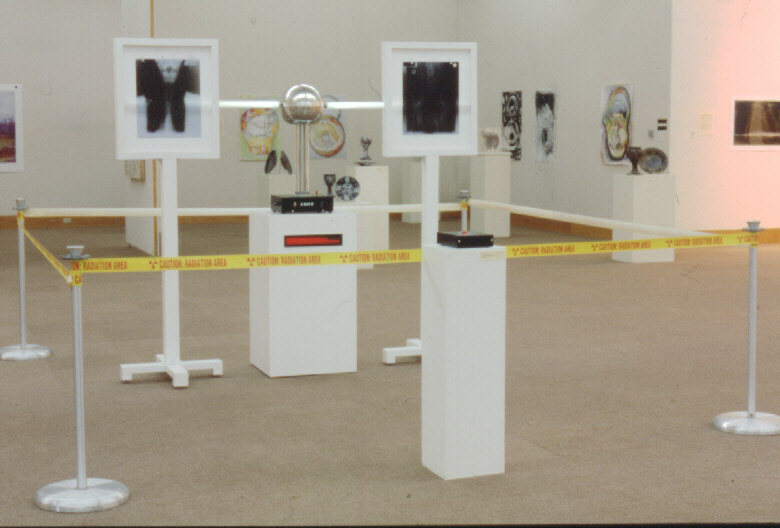 The entire piece was roped off with "Caution: Radiation Area" tape at the behest of the Curator.